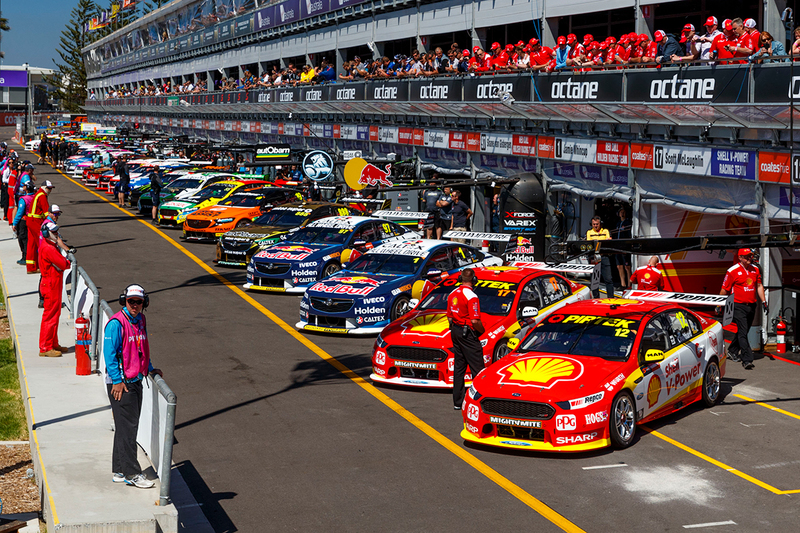 The minimum weight of cars in the Virgin Australia Supercars Championship has been reduced by 15kg for the 2019 season. In this year's regulations, the combined minimum weight of each car and fully-attired driver is 1,395kg, down from 1,410kg. That had been the figure since mid-2013, following the introduction of the Car of the Future platform, which initially had 1,400kg as the minimum weight. An increase in the use of lighter composite materials, chiefly on Holden's ZB Commodore and Ford's incoming Mustang, has led to teams deploying more ballast to meet that requirement. The 2019 reduction also factors in the adoption of a lighter control gearbox, with a unit from British firm Xtrac replacing the Albins package used since 2013. The weight limit change has been made following a survey of the cars undertaken by Supercars’ technical department last year, revealing the level of ballast each was carrying. "With the introduction of the ZB and the Mustang, the ballast being carried by the teams has increased," Supercars Head of Motorsport Adrian Burgess told Supercars.com. "It was an easy one and a safe one to do, reducing the weight limit, and the Xtrac gearbox is a fair bit lighter than the Albins. "Dropping the weight of the car is obviously safer for everybody and if we can reduce the weight of the car it's going to be a better outcome. Want the latest news and offers from Supercars and its partners? Burgess indicated further reductions could follow in the years to come, with how teams fare with the new figure of 1,395kg to be monitored. "The cars generally get heavier as they get older, they put on weight as you service the parts and repair front bars and paint them,” he explained. "We'll keep an eye on it and if we get to the end of the year and feel everybody is easily keeping under the weight limit, then it'll be reviewed again. "But what we don't want people doing is needing to spend money to get their cars under the weight limit. "It will be something we'll monitor going forward." What now for the 2018 rookies?